Museums will offer admission until 1am (some of them are free!) during this Night of Museums. Ever wonder what goes on in a museum after dark? May 13th through 16th you can find out! Europe’s most popular museums are participating in the “European Night of Museums.” Museums get crowded during the summer months so use this late-night option to skip the crowds and get more alone time with your favorite exhibitions. This event or “Night of Madnesses” as London is calling it offers museum-goers a unique opportunity to view the world’s most famous buildings and art works by moonlight. 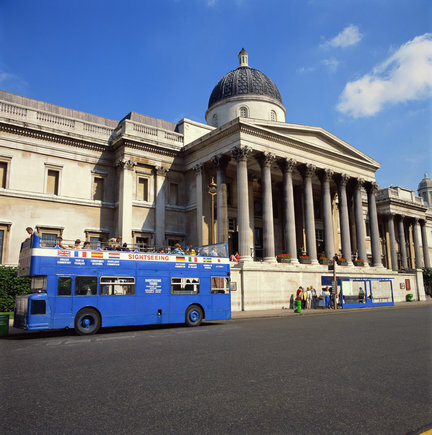 Join in with the locals to get exclusive access to the museums you’ve always wanted to see! Museums will offer admission until 1am (some of them are free!) and many will have special exhibitions and live shows. The London National Portrait Gallery is hosting a DJ on the 14th. Adventurous travelers can join the London Natural History Museum’s “Night Safari” on the 16th or go to the UCL Museum’s murder mystery party and search its halls for clues. Paris will be offering free late night admission to all of its city museums. Other Paris museums participating are the Victor Hugo House, Musée Balzac and the Catacombes. Can you imagine wandering around in the catacombs after dark! If you’re more of a cinephile than a ghost hunter, the Paris Modern Art Museum will be hosting an open-air movie night with the film Belle de Jour. Italian villages along with the major cities of Rome, Venice and Florence will be participating too. The Rome Foundation Museum will keep their Warhol exhibit open until midnight. The Ferragamo Museum and Palazzo Vecchio will also be offering something special for their late night patrons. Check out the museums on your travel to-do list and see what they’re offering! Enjoy a nighttime stroll through some of the world’s favorite museums on your AESU tour this summer! Want to learn more about the Night of Museums? Please contact AESU by calling 800-638-7640 or fill out the contact form found on our website. And don’t forget to check out all of our great Travel Tips, especially the Travel Tips for Europe, before you head overseas. This entry was posted on Thursday, May 14th, 2015	at 5:49 pm	. You can follow any responses to this entry through the RSS 2.0	feed. Both comments and pings are currently closed.